One of the areas that far too many Christians are lacking revelation of is their authority that has been given to them through Jesus Christ. This is a very important part of our walk with God that we need to have understanding of. If we do not understand our authority and how to use it, this gives satan the upper hand in our lives because we are not then using that authority to defeat the works of darkness that come against us. It is important to note that you will never understand your authority with your intellect; you must get spiritual revelation of it. Imagine if you had a weapon to protect you and your family against someone who came into your home with the intent to harm and take lives, but you didn’t know how to use that weapon. Or what if there was a weapon available to you but you didn’t even know it was there. This is what happens to Christians who do not know of the authority they have been given, or they don’t know how to use that authority. First off let’s take a look at our foundation scripture above and recognize the difference between power and authority. Jesus here gives to His disciples the power and authority to deal with demonic forces and the very works they often bring. The word for power here means supernatural force. It is referring to God’s power that is supernatural, meaning not of natural human strength. It is the same power that God used when He raised Jesus Christ from the dead. The word authority means the right to use God’s power. The believer when exercising their God-given authority is simply tapping into the power of God that is already available to them. The first key is recognizing that you have this authority because of who you are in Christ Jesus. Take a look at these verses very carefully. Notice that because of God’s great love for us even when we were dead in trespasses and sins He did three things. 1 – He made us alive together with Christ, 2 – He raised us up together with Christ, 3 – He made us sit together with Christ in heavenly places. That is powerful. We were dead in our sins but God through what Jesus did for us made us alive again. We have been born again once we accept the sacrifice Christ made for us. But God didn’t stop there; He also through Christ raised us up together with Him. That means He has raised us up into the same position of authority that He gave Christ here on earth and He proved it because He made us sit down together with Him. In Jesus’ day, whoever was given the seat on the right hand of the king was given the authority of the king. So it is with us, for whoever has been given a seat at the right hand of God now has the same use of His authority, the right to use His power. Take a look at what scripture reveals about the position Jesus has been given. Eph. 1:21 Far above all rule and authority and power and dominion and every name that is named [above every title that can be conferred], not only in this age and in this world, but also in the age and the world which are to come. Eph. 1:23 Which is His body, the fullness of Him Who fills all in all [for in that body lives the full measure of Him Who makes everything complete, and Who fills everything everywhere with Himself]. When the Father raised Jesus from the dead and seated Him at His right hand He gave Him a position of authority far above all rule and authority and power and dominion, and even every name that is named. Some will say that was only Jesus who was given that place of authority, but what they fail to realize is that they need to keep reading down into Ephesians chapter 2 and there they will find out as we just stated that we have been made alive together, raised up together, and seated together with Christ. So we too are positioned far above, not a little above, all the same powers of darkness and every name that is named. This is not something that is going to happen one day; it is where we are positioned right now. Notice in verse 22 above it also states that God has put all things under Jesus’ feet and in verse 23 it tells us that we are His body. Christ is the head, and the believers are the body. The feet are a part of the body. The Father placed all things under His feet, which simply means under the body of Christ. Every believer has already been given this authority, many just don’t know it, or it is not a revelation to their spirit man. Think about what this verse is saying. In the beginning of creation God gave man dominion over the whole earth. Adam when he sinned relinquished that to satan, but Jesus did something about it. In the King James translation the word for “disarmed” here is spoiled. When a king took on another king and his kingdom and won, they brought back the spoils. Jesus brought back the spoils when he defeated satan through His death, burial, resurrection, and ascension. He got man’s authority in the earth back. Because we are one with Him, we now have that authority once again. We have the right to use God’s power and establish His rule through our lives here on earth. 2 Cor. 6:14 Do not be unequally yoked together with unbelievers. For what fellowship has righteousness with lawlessness? And what communion has light with darkness? 2 Cor. 6:15 And what accord has Christ with Belial? Or what part has a believer with an unbeliever? Remember, the most important key to walking in that authority is having revelation of who you are “In Christ”. I want you to look carefully at these verses. Paul is making a comparison between two different types of people. They are the believer and the unbeliever. This is the comparison that is being made in each example here. Paul tells us that the believer is righteousness and the unbeliever is lawlessness. The believer is light and the unbeliever is darkness. The believer is Christ and the unbeliever is Belial. I know that many will say there is no way I can be considered Christ, but that is exactly what Paul just said. Let me explain this further. Paul did not say that we the believer are Jesus Christ, he said we are Christ, which refers to the anointed one. Just as Jesus is anointed (empowered) by God to do His works, so is the believer anointed. We are not Jesus, but we are Christ (anointed). We are the body of Christ; Jesus is the head of His body. If I where to ask someone to come into another room I would not ask for the head of that person to come into the room, because their body and head are one. So it is with the body of Christ. We are one spirit with the Lord (1 Cor. 6:17). Again, I did not say we are Jesus Christ, but Paul said we are Christ. Let’s look at another verse. 1 Cor. 12:27 Now you are the body of Christ, and members individually. Clearly again Paul is using this analogy of a physical body to make his point. We are the body of Christ, yes members individually, but we are all a part of His body, which makes us Christ, not Belial. Most believers don’t see themselves as anointed like Jesus, yet Jesus Himself said in John 14:12 that he who believes in Him the works that He did we would do also. How are you going to do those works? With the same authority, anointing, and power, which Jesus did. You can’t do that if you are not one with Him, but you are. Here is how we release that authority. We do so through the name of Jesus. This is why He was given a name above every name. Jesus declared it right here in these verses that in His name we would do the works He did. We simply need to have revelation in our hearts of who we are in Christ, and then go forth using our God-given authority in this earth to do what He did through the name of Jesus. You have authority in this earth, the same authority Jesus has. You have been made alive together, raised up together, and seated together with Him! Take your place in Christ and use the authority God gave you! Matt. 9:36 But when He saw the multitudes, He was moved with compassion for them, because they were weary and scattered, like sheep having no shepherd. As we have just celebrated father’s day, I had it on my heart to share a very important and powerful truth that satan has worked very hard at coming against. It is the importance of having a spiritual father in your life. Scripture is very clear that it is God’s design not man’s, that every believer find their shepherd whom Jesus gifted to help develop them and grow them up in God. The devil has continued to deceive people in the body of Christ making them think they don’t need a shepherd because they have Jesus, or that they need to simply find a church that gives them in the natural what they want and are comfortable with. Jesus clearly reveals in Matthew 9:36 above that those who do not have a shepherd, they will become weary and scattered. The problem with many believers is they may know they need a attend church to grow in their walk with God, but the focus is on finding a church instead of a spiritual father. This would be like us looking for a family to live with instead of who the father of that family is. As great as a family can be to you, they cannot take the place of a good father. The other key thing to consider is that often we see things in the natural are a reflection of things in the spiritual as well. So it is with finding a spiritual father. For example, you did not have a choice as to who your natural father would be, so why do we think that it is our personal preference that determines who our spiritual father is going to be. The Bible actually tells us how we can know when we have found our spiritual father, and it has nothing to do with what you want in the natural, but everything to do with whom the heavenly Father desires to have as a spiritual father in your life. John 10:8 All who ever came before Me are thieves and robbers, but the sheep did not hear them. Throughout my ministry life as a pastor I have taught this truth that God has a spiritual father for you. Many people have told me over the years that it really doesn’t matter where you go to church. That is the same thing as saying it really doesn’t matter who father’s you, but in fact it does. If you take time to study these verses of John chapter 10 you will find out that Jesus is teaching us about how He selects for us our spiritual father. He tells us here that He is the door in these verses, and the shepherd who came through Him, who was gifted in other words by Him to be a pastor. 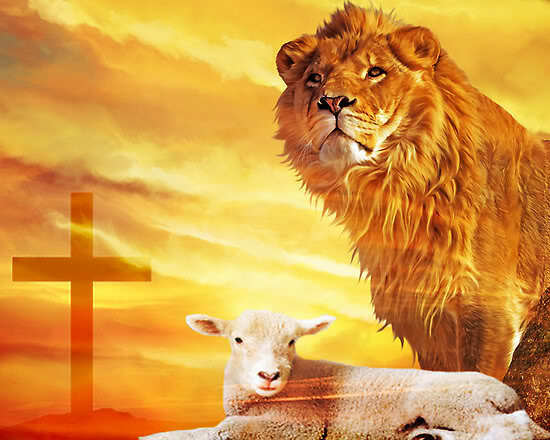 He will speak and when he does those who are to be his sheep will know his voice (v. 4). This is not referring to Jesus in the first part of John 10, because Jesus Himself said He was the door in this example. When I heard Dr. Mark T. Barclay speak for the first time there was something within me that just knew he was different. I did not know it at that moment, but that was the confirmation in my spirit by God that he in fact was the spiritual father God had for me. I am so grateful to know I have found my spiritual father. Since I have gotten to know him and become one of his sons in the faith, my wife and I are no longer going through life weary and scattered. We are on track with our assignment and we are fulfilling what God has called us to do. Whenever we need direction, correction, or just some biblical advice, I have a shepherd I can turn to that is there to help us stay on course in our walk of faith. This is why so many believers are weak spiritually and become scattered. 2 Tim. 4:1 I solemnly call on you in the presence of God and Christ Jesus, who is going to judge those who are living and those who are dead. I do this because Christ Jesus will come to rule ‹the world›. 2 Tim. 4:2 Be ready to spread the word whether or not the time is right. Point out errors, warn people, and encourage them. Be very patient when you teach. 2 Tim. 4:3 A time will come when people will not listen to accurate teachings. Instead, they will follow their own desires and surround themselves with teachers who tell them what they want to hear. 2 Tim. 4:4 People will refuse to listen to the truth and turn to myths. In these set of verses we have the most precise description of the responsibilities of a shepherd. Paul is writing this letter to Timothy who was the pastor of the church at Ephesus. Take note that in verse 2 Timothy is given specific instruction as to what he was required by God to do. He was to spread the Word of God, even when the time may not seem right (people may not want to hear it). He was to point out errors in people’s lives. He was to warn them about things to come, and what they were to be aware of in their daily lives. He was to encourage them in their walk of faith, and he had to remain patient in doing so. Then he is told the day is coming when people will no longer listen to accurate teachings. Instead they will follow after their own desires, and surround themselves with teachers who will tell them what they want to hear. They will refuse to listen to the truth. The people who are doing this don’t even realize they are doing so. They may be listening to the wrong people not even realizing they are not their shepherd, or they are people who once knew who their pastor was and even acknowledge this, but they eventually wandered away by becoming deceived, offended, misled, etc. They don’t think it matters that much where they go to church. The sad truth is many of these people even stop going to church. If these are the responsibilities given to the pastors, then what is the responsibility of the sons and daughters who are to receive their pastor as a gift from God in their life? Let’s look at these again and see what God expects of His sheep in response to what the pastor is required to do as mandated by the Lord whom He serves and works for. 1. Pastors are to spread the Word whether people want to hear it or not. This means that when you find a God-appointed shepherd whom God wants you submitted under, he is going to teach things that you are not always going to want to hear. That is how growth occurs. A muscle does not grow when it is always comfortable, but when it is challenged and it responds by getting stronger. So it is with spiritual growth. If you are always wanting hear what makes you comfortable you are not going to grow and you are deceiving yourself thinking you don’t need to grow as a believer. There are it appears less and less believers it seems who want anything to do with a pastor who is willing to address issues that involve people living in error. He should not do so using names of people in the pulpit, but a pastor who is teaching and preaching as led by God is going to point out things a times that people in his church are doing that are wrong. This is a part of his responsibility as a pastor. People call it stepping on my toes. If you don’t hear about what you are doing that is wrong how are you ever going to correct the mistakes you are making? Pastors are to warn people about sinful practices, judgments to come, things that can hurt their life, etc. A believer should heed those warnings realizing that God is trying to spare their life from pain. But when believers won’t receive these warnings they then wonder down the road why they end up somewhere they don’t want to be. Every pastor should as well encourage his people helping them to learn how to walk by faith, learn who they are in Christ, and help them realize that God will always be there for them. This is what believers want all the time, but if you feed a child only candy they are going to get cavities and experience an unhealthy future. So realize the power and the blessing of having a spiritual father in your life. It is by God’s design, and it is a great strength, protection, and a necessary part of your life if you want to walk in the light of what God has for you. To deny this need is to deny God’s Word on the subject. Both pastors and believers need to know and walk in what God expects of their life. Doing so brings about God’s purpose and plan for us. One of the most quoted, or I should say misquoted texts of the Bible is the famous phrase that was spoken by Job in a time of great trial in his life. I have heard many people through difficulties and tragedies in their life quote this scripture. I don’t know if you have ever heard of a radio personality by the name of Paul Harvey, but to quote a famous saying of his I want to share with you “the rest of the story”. You surely have heard of the saying, “hindsight is 20/20.” Often in life we may say things in the midst of what we are dealing with, or what we may be going through at the time, but as time goes by we may then often see a completely different picture. As we do we then realize what we may have said or thought about that situation at the time may not have been correct. Often in life you may think what you are saying is accurate at the time, but when you have then lived a while you may realize that things are not quite the way they seemed. So it is with Job. 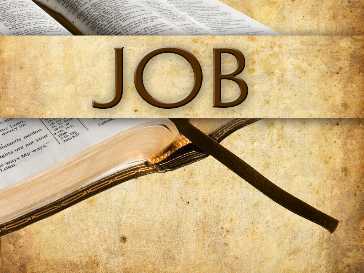 No one seems to want to study the entire book of Job to find out the “rest of the story.” They tend to only focus on the first couple of chapters in the book, and therefore they get an incomplete picture of what all happened in Jobs life, and more importantly why it happened. So let’s begin at the beginning where the confusion seems to always start when you are talking about Jobs life. The first thing God asks satan is, while he was roaming the earth he must have come across Job. This is the term for the word “considered”. God was not throwing Job to the lions; God was saying satan surely had seen His servant who walked before God with a heart for Him, shunning the work of evil in his life. This does not mean Job had not given place for satan to come against him, it does mean that in Job’s relationship to God, Job had such reverence and honor for God, that he personally had lived a godly life not giving in to evil practices. Job 1:9 Then Satan answered the LORD, “Is it for nothing that Job fears God? Job 1:10 Have you not made a hedge around him and his household and all that he has on every side? You have blessed the work of his hands, and his livestock have increased in the land. Job 1:12 So the LORD said to Satan, “All right then, everything he has is in your power. Only do not extend your hand against the man himself!” So Satan went out from the presence of the LORD. There are a couple of very key elements to point out in these verses as this conversation between God and satan continues. God was able to protect Job just as He is able to protect us who walk by faith and not fear, as we will address this in a moment with Job. Realize that when satan suggests to God that if He would strike everything he has then he would no longer serve God. First question, do you really believe that God is going to take satan’s advice? That would be like a mob boss coming to a parent and telling that parent if you will strike them down, or let me beat them up, take everything they have, they won’t love you anymore. How many parents who love their kids are going to tell the mob boss, “Yea, that sounds like a good idea to me, go ahead and do what you want with my kid, just don’t kill them”. Yet we think God who loves us more than we love our own children would do so? God did not strike Job. God does tell satan that he had the right to come against him as far as what he had in the natural, but he could not take his spirit for his spirit belonged to God. Why did satan have the right to come against Job in the natural? Realize that when Adam fell in the garden the authority that God had given Adam was now given over to satan. 2 Corinthians 4:4 tells us that he is the god of this world. Man has a choice as to whether he is going to walk by faith in his God, or give way to satan through fear. When you walk by faith you give God access to every part of your life. When you walk in fear you now give satan the opportunity to take advantage of your life. That is why he works to deceive people and lead them into fear. Here again is something may believe is proof that God was doing this, but the phrase, “fire from God” actually refers to lightning. Writers in the Old Testament would often attribute this to God’s doing, but scripture reveals in Ephesians 2:2 that satan is called the prince of the power of the air. He brings destructive storms just as he did against Jesus and His disciples when they were in a boat heading across the sea and a storm came against them. Jesus after being awakened by His disciples rebuked this storm and it left. Then He looked to His disciples and wanted to know why they had not used their faith to come against this storm. If God sends such things against His children who fear Him, then why did Jesus rebuke this storm? Because it was a work of satan, not a work of God. Job 3:25 What I always feared has happened to me. What I dreaded has come to be. Job reveals here in chapter three that he had been living with a certain fear for some time. That fear was all the things that had happened to him. What he had always feared had now come to pass. Fear gave satan the right to come against Job in the natural, but because Job did reverence God and served God for who He is and not what Job had, satan could not touch his spirit, for his spirit belonged to God. 1 John 4:18 There is no fear in love [dread does not exist], but full-grown (complete, perfect) love turns fear out of doors and expels every trace of terror! For fear brings with it the thought of punishment, and [so] he who is afraid has not reached the full maturity of love [is not yet grown into love’s complete perfection]. Job was experiencing a time of dread in his life because Job had not yet come to the place of fully understanding the love God had for him. One who fully understands the love of God will walk by faith, for faith works through love. This lack of understanding God’s love gave way to fear, and this opened the door for satan to torment Job. Because of this fear Job then made a statement in the midst of his darkest hour that was based on what he was going through at the time. In Job 1:21 he declared that the Lord had given and the Lord had taken away. It is true that Job said this, but that does not make it a true statement. Let’s look at the rest of the story. Job 42:3 You asked, “Who is this who hides counsel without knowledge?’ Therefore I have uttered what I did not understand, Things too wonderful for me, which I did not know. God later in a conversation with Job who had been listening to wrong counsel from his friends has God reveal Himself as One whom Job did not fully understand. Job had uttered those words in chapter one that the Lord was the One who had taken what he had away. But after God questions Job as to whether he actually knew everything about God, Job admits here in chapter 42 that he did not know everything about God. It was not God doing this to Job, and therefore Job states in Job 42:3 that what he uttered he did not understand. Who has not at times said something in the midst of a painful or difficult situation but then later on realize what they said was not true. The Lord then tells Job to go and pray for his friends. This got Jobs focus off of himself. Ministering to others takes faith. In doing so God got Job back in faith. In doing this God restored Job back with twice as much as he had before. Remember, fear gives satan access to our life, but faith opens the door for God to work in our lives and see His will fulfilled. The devil comes to steal, kill, and destroy; the Lord has come to give us life and that more abundantly!